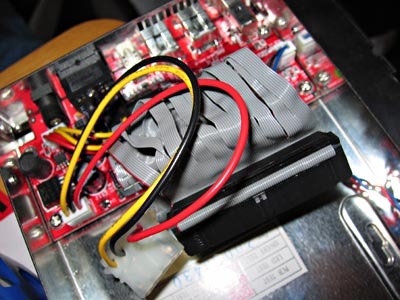 You aren’t normally supposed to see the insides of a hard drive case, but I screwed-up and flashed my bridgeboard with the wrong firmware so my firewire drive enclosure is kaput. Damn. Might have to send it in to get re-flashed as I can’t seem to do it myself. 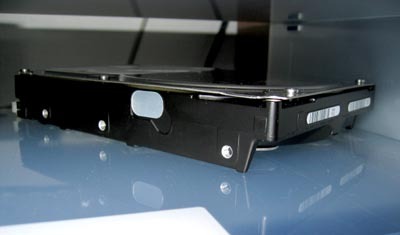 My hard drive now sits on my taken-apart firewire CD burner case, or I should say inside it, so I can access its contents. A pain in the okole.